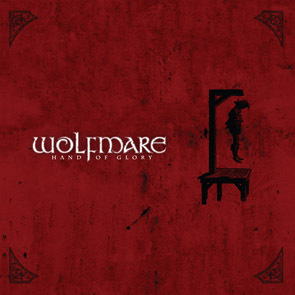 WOLFMARE was founded in 2002 in St.Petersburg, Russia by ex-members of local metal and folk projects. From the very beginning WOLFMARE was planned to be not only a band to play music but also a kind of performance act. The main language of lyrics is English, but some traditional sacred texts in ancient languages like Latin or Old High German are also used. WOLFMARE songs are based on both the past and the present. They are a kind of mix between European (mostly Scandinavian) traditions and sounds of modern world. WOLFMARE is a successful live band. They played at a number of club gigs and open air festivals in St. Petersburg, Moscow and other Russian cities. They supported such bands as Cruachan, Tiamat, Finntroll, Battlelore, Moonsorrow, Ensiferum, Tyr and Korpiklaani in St.Petersburg and were the special guests at the Cruachan’s Russian tour in 2005. In 2009 the band played for the first time abroad at Hörnerfest in Germany. WOLFMARE has recorded three albums. The first one released by the local metal label Fono in 2004 is titled “Widdershins” (released under ‘Wolfsangel’ moniker). It can be described as a model folk metal piece with some minor influences of black metal. Although it was not distributed outside Russia, about 3.000 copies were sold. 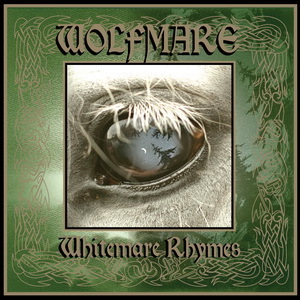 The second album titled “Whitemare Rhymes” was released by the European CCP Records label in April 2008. Both sales and press (12/15 from Legacy, 7.5/10 from Rock Hard, 8.5/10 from Gothtronic et al.) were good. Unlike it was in the first album, all the acoustic instruments like bagpipes, cello, fiddle et al were not samples, but real instruments. Unlike it was in the first album, there were three lead vocals (growl /scream, clean male vocal and clean female one) as well as the guest vocals by Keith Fay and Karen Gilligan of Cruachan. Unlike it was in the first album, it wasn’t a pure folk metal, since creativity of the band went too far to lock it in frames of one genre. More shades of black metal, doom metal and even the 70's rock added to the folk metal base formed the unique WOLFMARE sound. The third album titled “Hand of Glory” was recorded and mixed between autumn 2009 and spring 2010 mostly in band’s own private production studio and is expected to be the real milestone for the band. WOLFMARE became somewhat more brutal due to the new frontman who is rated by many people as the best Russian growler, and on the other hand, more tunes, both original and traditional, more voices, more instruments, and more surprises are waiting for the audience.